Watch and control HD content at each TV location using existing coax cable infrastructure. 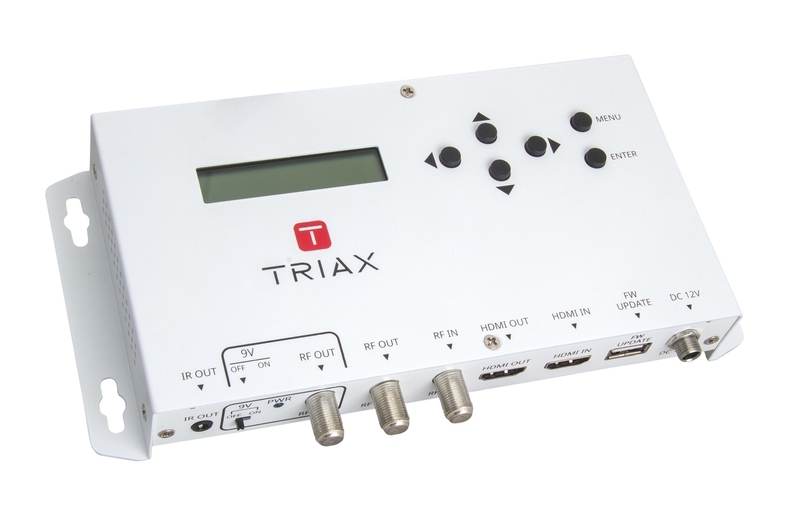 The TRIAX HDMI to COFDM Modulator (MOD102T) has a HDMI input with local loop through and a COFDM output (which is combined with the RF input). The HDMI input content can be supplied from a number of sources including Satellite Set Top Box, Blu Ray Player, Games Console and CCTV. The input signal is modulated as a COFDM output and can be distributed to a number of TV's over an existing private coaxial network.